Photo from Africa Studio via Shutterstock. Names are incredibly important. Not only are they good for differentiating individuals, but they serve as artifacts of changing times and cultures. 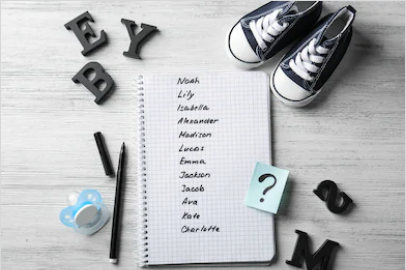 For these reasons, having a bold, unique name is of the utmost importance, and it’s crucial to take some time to deliberate before choosing your child’s namesake. I’ve consulted all the best sources (Pinterest, babynamewizard.com and pregnantchicken.com), and after doing intensive research, I have come up with a list of the 10 best names for your 21st century offspring. Double names are all the rage. They are fun and sophisticated, and using both names will make your child think they are always in trouble. The name “Daisy Grace” indicates a sunny and steady disposition, and your child will love being named after your favorite flower. name your child Helianthus annus, you can rest assured that they will be beautiful, but not too beautiful; it is the common sunflower, after all. While I normally wouldn’t advise you to wing it, bird names are an excellent choice for your baby. To the Celts, the wren was a symbol of creativity, wit and kindness; all attributes you want your offspring to possess. Give your child a name that allows them to soar, because you want your little fledgling to feel confident when they one day leave the nest. This name is proof that you can stick to the bird theme but get even more creative. By naming your child after the bird flu, you guarantee that they will have an infectious personality, something that their friends will adore. If you learn anything from this name, it should be that numbers are always a good addition. Think outside the box, and your child will be equally as unique. When I think of this name, I think of someone who is cool, composed and beautiful. Imagine snow-peaked mountains and frost-covered window panes. Give your child the gift of a stunning name, because picking the right name for your child is snow laughing matter. I’ve already mentioned how much I love double names, so now, let’s give triple names some love! Seasonal Affective Disorder is a great one for those babies with a dark side. Your child will be associated with short days, slush on the side of the road and fervent prayers that spring will arrive. Don’t stray away from names just because they’re mood disorders. We all go through difficult times, and just like Seasonal Affective Disorder is a big part of many peoples lives, you can be sure that your child will be an equally grand part of yours. Nature lovers will go wild for this name. It comes from an English surname meaning “forest” and will remind you of luscious ferns, babbling brooks and towering trees. Get creative with a gorgeous name like Forrest, and your child will have incredible wilderness survival skills. For those of you who love forests but want to get even more specific, this name is the one for you! Big trees provide shade, shelter and can be used to make lots of different kinds of woodwork. Naming your child Big Tree will ensure that they always stand out, and that wherever they go in life, they will tower above the others. Many consider Saffron the world’s most legendary spice. Make your child a legend with this beautiful name and feel confident that they will have a zesty personality. Your child, like saffron, will be incredibly expensive. But what wouldn’t a parent do to see their child happy? Last but not least, let’s hear it for Garlic! The name Garlic will automatically supply your child with an incredible immune system, as the plant helps combat colds, high blood pressure and reduces the risk of heart disease. Sure, your kid may stink, but wouldn’t you rather them be healthy than beautifully perfumed? For all you health nuts out there, this name is for you, and for anyone who loves garlic bread, this name is equally as applicable. C. Butts once knew a hero named Ragnar the Red, who came in riding from Old Rorikstead. She can often be found whispering ancient text into a mirror facing the moon, specifically to conjure an unknowable evil past human comprehension. She can be reached via email or text.